It all starts when the homeowner — the borrower — fails to make timely mortgage payments. Usually, it’s because they can’t, due to hardships such as unemployment, divorce, death or medical challenges. If you’re in this tough situation, it’s essential that you talk to your lender as soon as possible. There are several options to help keep you in your home. The foreclosure process costs the lender a lot of money, and they want to avoid it just as much as you do. 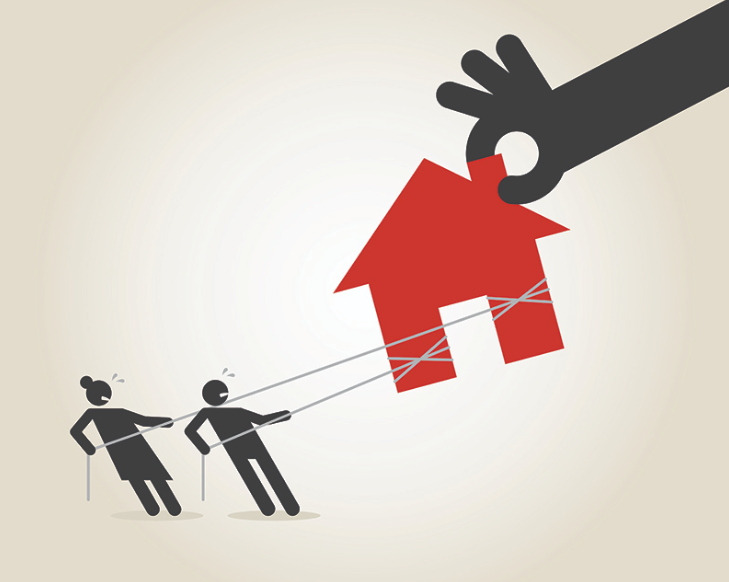 Sometimes, a borrower may intentionally stop paying the mortgage because the property might be underwater (in other words, the amount of the mortgage exceeds the value of the home) or because he’s tired of managing the property. Depending on state law, the lender might be required to post the notice on the front door of the property. This official notice is intended to make borrowers aware they are in danger of losing all rights to the property and may be evicted from the premises. In other words, they’re in danger of foreclosure. After receiving a NOD from the lender, the borrower enters a grace period known as pre-foreclosure. During this time — anywhere from 30 to 120 days, depending on local regulations — the borrower can work out an arrangement with the lender via a short sale or pay the outstanding amount owed. If the default is not remedied by the prescribed deadline, the lender or its representative (referred to as the trustee) sets a date for the home to be sold at a foreclosure auction (sometimes referred to as a Trustee Sale). The Notice of Trustee’s Sale (NTS) is recorded with the County Recorder’s Office with notifications delivered to the borrower, posted on the property and printed in the newspaper. Auctions can be held on the steps of the county courthouse, in the trustee’s office, at a convention center across the country, and even at the property in foreclosure. In many states, the borrower has the right of redemption (he can come up with the outstanding cash and stop the foreclosure process) up to the moment the home will be auctioned off. At the auction, the home is sold to the highest bidder for cash payment. Because the pool of buyers who can afford to pay cash on the spot for a house is limited, many lenders make an agreement with the borrower (called a deed in lieu of foreclosure) to take the property back. Or, the bank buys it back at the auction. Bank-owned properties are sold in one of two ways. Most often, they are listed by a local real estate agent for sale on the open market. Also, some lenders prefer to sell their bank-owned properties at a liquidation auction, often held in auction houses or at convention centers. 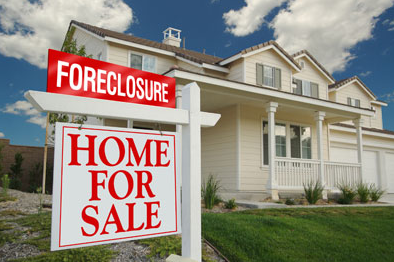 The basic reason homes are foreclosed is because homeowners can no longer pay the mortgage. There are several reasons for this. First, people may have taken on too big a commitment in the first place, but were able to do so because of the attractive terms of a subprime mortgage. Before the housing crash, many people with low incomes and low credit scores were offered a subprime mortgage with low interest rates that made them seemingly affordable. When the interest rates and therefore the mortgage payments increased, they found that they didn’t have sufficient funds to make the payments. Another reason for foreclosure is the state of the economy. In a boom economy, house prices increase but in a recession house prices can fall dramatically. That can mean that the value of the house turns out to be much less than the mortgage owed on it. In this situation, the homeowner often has little choice but to foreclose. House prices are also likely to fall in areas where there is an oversupply of newly built homes, which investors are now unable to sell due to the fall in the market. Information is deemed reliable, but is not guaranteed. Distressed hardwood flooring. Golf Course community. 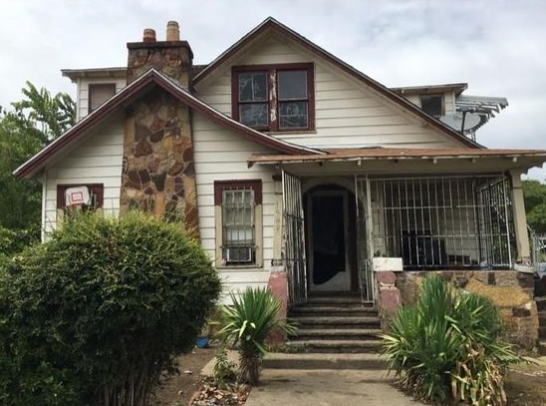 This 880 square foot single family home has 2 bedrooms and 1.0 bathrooms. It is located at 271 BYRON ST FORT WORTH, Texas. 1 story brick home located in the Trails of Willow Creek subdivision. Built in 2004 and featuring: covered back patio, formal dining room, large den, open kitchen and an attached 2 car garage. Some TLC needed but this just might be the one you have been waiting for! Come by and look! 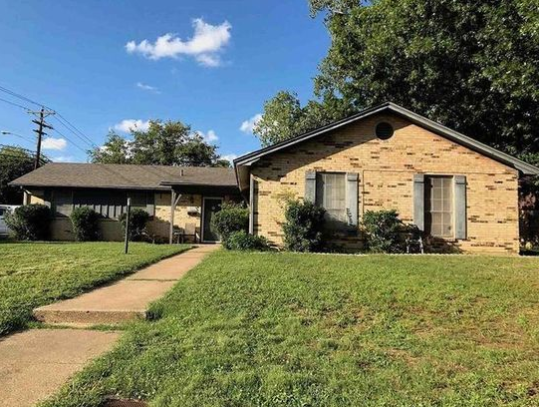 This property will be sold at a live foreclosure auction in Tarrant County, Texas on December 4, 2018 between the hours of 11:00 A.M. and 2:00 P.M. The sale will be held at the Tarrant County Courthouse, 100 W. Weatherford Street, Fort Worth, TX 76196.